Getting a personalized jewelry is the next best thing in expressing your love for yourself aside from getting a tattoo. Plus, it's not painful and can be passed on to the next generation. Personalized anything is my thing. I had some of my bags stamped with my initials, and one with my face (Anya Hindmarch bag). 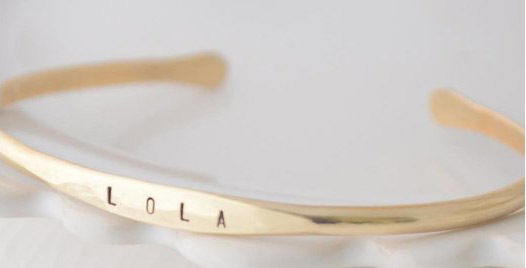 Personalized jewelry are my favorite; specifically, bracelets and necklaces in yellow gold! Customization is also a way of theft-proofing your things. A filcher might think twice before stealing your stuff. You can also have one made to show who you love, who you stalk, or the initials of the place where you keep your pot of gold or whatever.